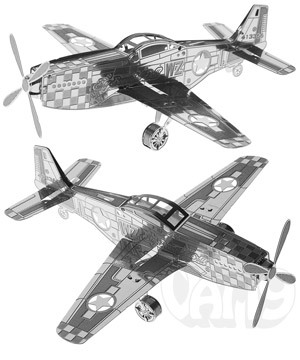 Metal Works are amazingly detailed do-it-yourself 3D models that you assemble from single sheets of laser-cut steel. Thanks to the ingenious slot-and-tab design, no tools, fasteners, or glue are required to build Metal Works 3D Sculptures. All you need are your hands! Simply pop out the pieces and bend, fold, and assemble them using the included illustrated instructions. 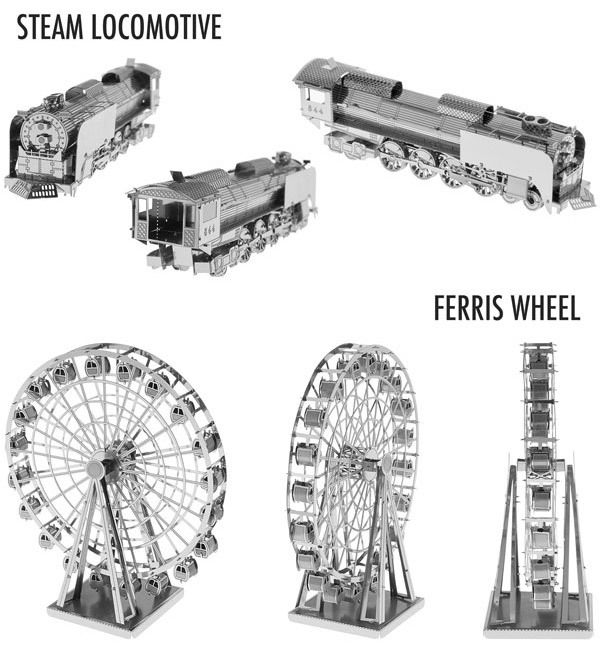 Currently available in a wide range of styles covering a variety of world-famous engineering feats such as the Titanic, the Eiffel Tower, the Ferris Wheel, and more. 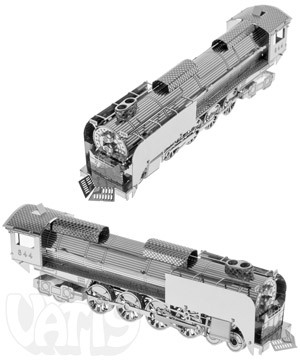 Depending on the complexity of the model, Metal Works can take anywhere from 30 minutes to several hours to complete. 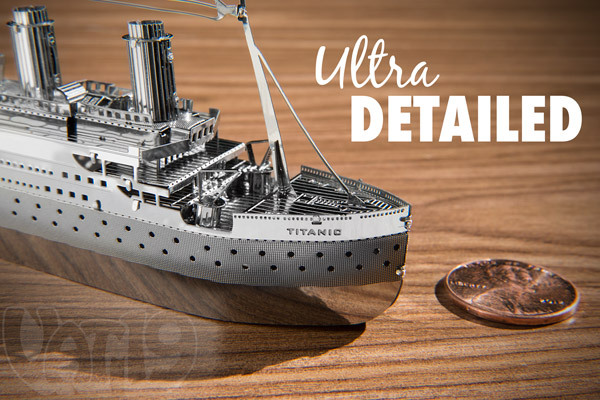 Metal Works are amazing miniature 3D models that are made from sheets of laser cut metal. Simply pop out the pieces, perform a bit of (sometimes intricate) folding, and voilà! 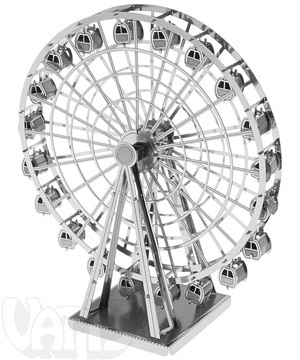 Flat metal is turned into the Eiffel Tower, the Titanic, a Ferris Wheel, or one of many other engineering feats. Turn flat sheets of metal into amazing miniatures with Metal Works. Most Metal Works 3D Sculptures can easily fit in the palm of your hand, yet feature an impressive level of detail as well as textural design and etching. The laser cutting process allows for intense precision even at a small scale. Metal Works 3D Sculptures boast impressive details despite their small stature. No specialized tools, screws, or glue required! Metal Works require only your hands (and perhaps a pair of pliers to make things a tad easier) for assembly. 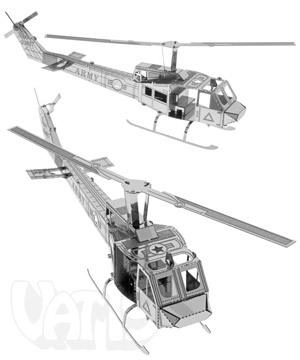 The entire model is contained within one (or more) four-inch square sheets of laser-etched steel. 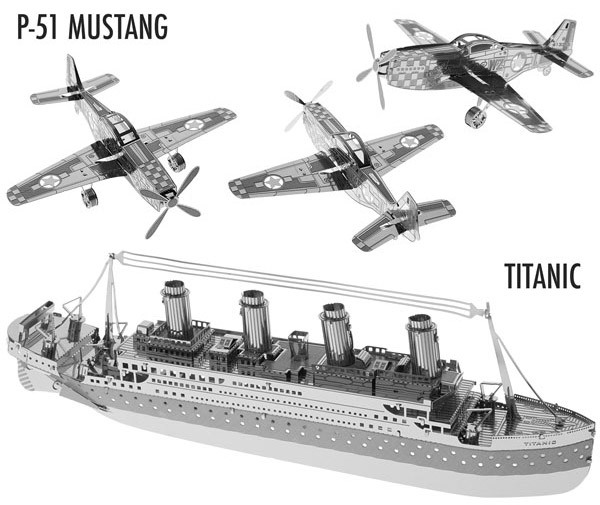 A set of instructions guides you, step-by-step, through the process of building your model. 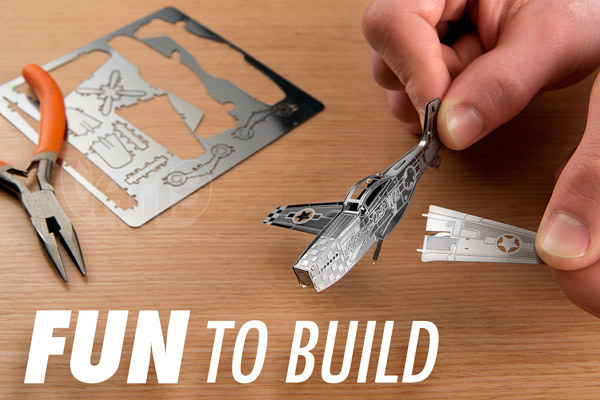 Simply pop out the pieces and follow the included instructions to create your 3D metal sculpture. Not only are Metal Works fun to build, they're great decor items. Keep them on your desk, bookcase, or nightstand. Although made from a thin sheet of metal, they are very durable. 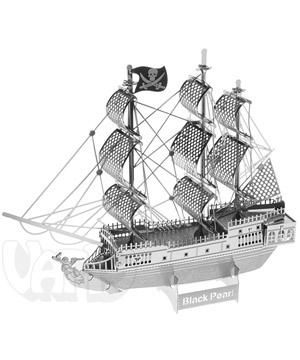 Add a large helping of "where did you get that awesome looking metal sculpture" to any room with Metal Works. 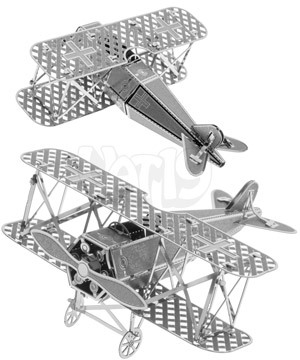 Metal Works 3D Laser Cut Models are currently available in eight awesome styles. 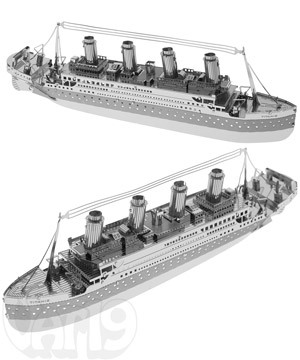 Multiple views of each style are presented below. Detailed information about the complexity of each model is included in the table below. 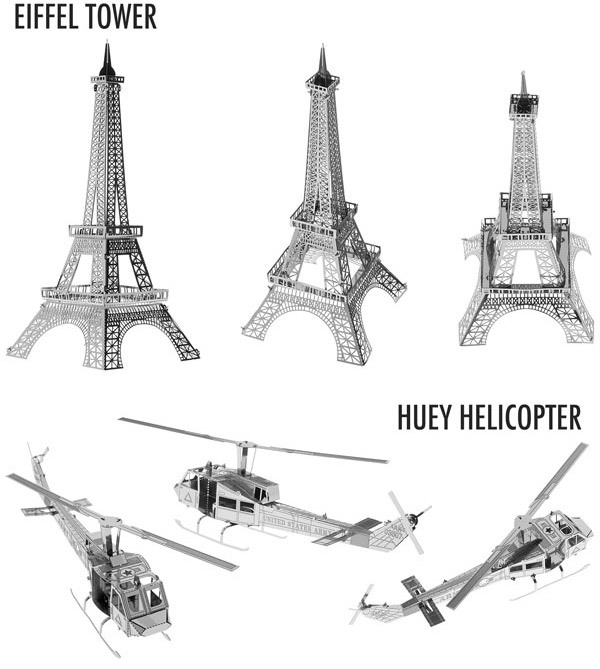 P-51 Mustang 1 15-30 min 3.5" x 3.75" x 1.1"
Titanic 2 4-5 hours 5.5" x 0.6" x 1.5"
Eiffel Tower 1 15-30 min 4.25" x 1.75" x 1.75"
Huey Helicopter 1 15-30 min 5.0" x 1.75" x 1.5"
Steam Locomotive 2 4-5 hours 4.5" x 1.0" x 1.25"
Ferris Wheel 2 2-3 hours 3.5" x 3.0" x 1.25"
Fokker D-VII 1 15-30 min 2.6" x 2.5" x 1.25"
Black Pearl Pirate Ship 2 2-3 hours 4.0" x 3.5" x 1.0"
Choose from a wide variety of Metal Works 3D Models. Question: Do the moving parts such as propellers, pistons, and wheels actually move? Answer: No, all of the objects are stationary. Question: Are the edges sharp? Answer: The edges have been laser-cut and are not sharp. 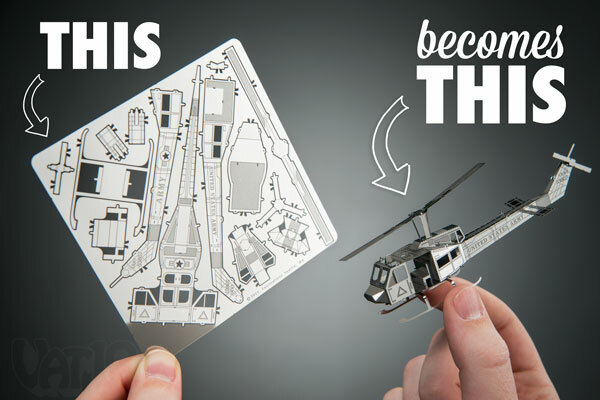 They can be assembled with your bare hands! Question: Is the finished model really fragile? 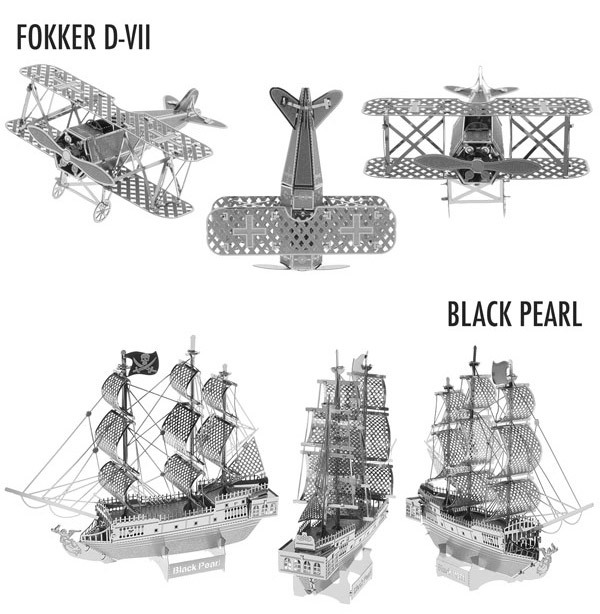 Answer: Despite their small size, Metal Works models are sturdy and durable. Can they survive being stepped on? Probably not. Can they survive a tumble off your desk? Yes. Question: How difficult is it to bend the pieces? Answer: Bending and fitting the pieces together does not require any special tools. You can do it with your hands. However, a pair of needle nose pliers can make some of the work a bit easier.